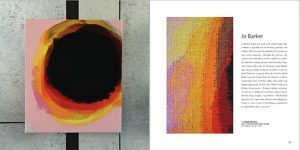 This year’s annual Art in the Barn exhibition at browngrotta arts, art + identity: an international view, opens on April 27th with an Artists Reception and Opening from 1 p.m. to 6 p.m. at 276 Ridgefield Road, Wilton, CT. From April 28th through May 5th, you can view the exhibition from 10 to 5. In art + identity, more than 50 artists explore the influence that birthplace, residence, travel and study have had on the development of their art. 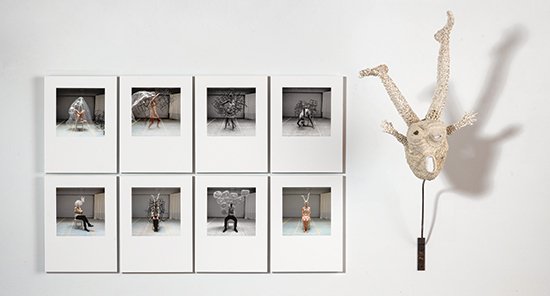 The work reflects the influence of five continents and includes art textiles, sculpture and ceramics and mixed media. The artists have lived and worked in 22 countries including Japan, Finland, Nigeria, India, Russia, Israel, Canada, Chile and the US. These artists’ approaches to the theme are decidedly individual but similarities and differences among their works create an intriguing dialogue about the influence of culture and geography and spur questions about the universality of art. art + identity: an international view, April 27th-May 5th. 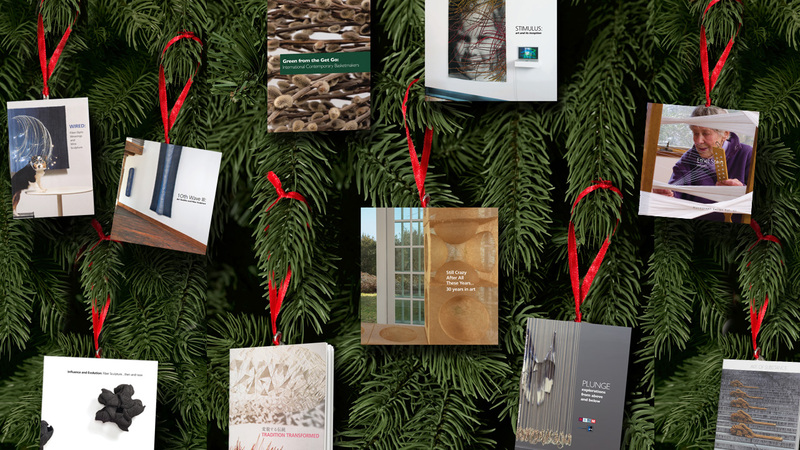 browngrotta arts, 276 Ridgefield Road, Wilton, CT 06897. 203.834.0623. For more info, visit: www.browngrotta.com. In the first week of June we shared Åse Ljones’ I Mirror You. While making I Mirror You Ljones drew inspiration from her childhood on a little farm near the fjord in the Norwegian countryside. 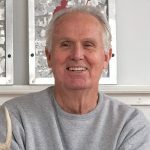 Naturally, the environment and weather were close elements.“ The fjord and the waves were always changing rhythm and changing colors,” says Ljones. After being selected to participate in a major exhibition at Arthouse Kabuso, Ljones’ made I Mirror You as a thank you to the people and landscape of her youth. In making Blue Sea Mary Merkel-Hess drew inspiration from the Florida Everglades. “I don’t usually step out of my own Midwestern environment for inspiration, but for Blue Sea I did,” Merkel-Hess explains. 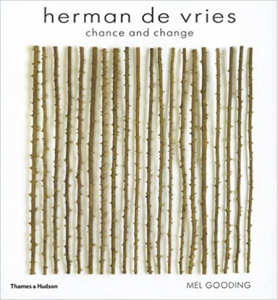 In addition to being able to examine a new type of grassland, Merkel-Hess had the opportunity to study the oceans various colors and moods. 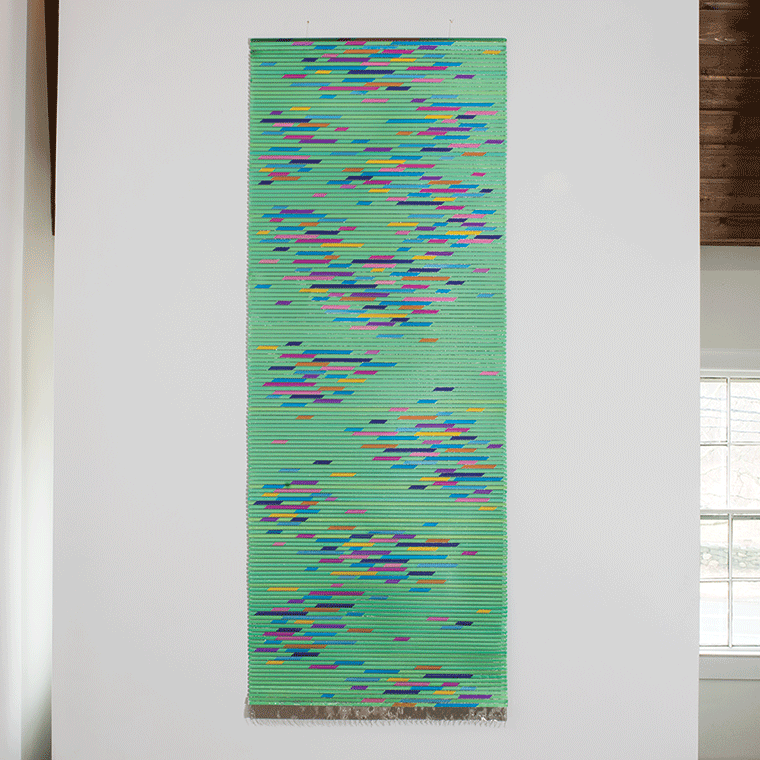 The continuous movement of the wetland coupled with the beautiful blues of the Atlantic Ocean came together for Merkel-Hess as she made Blue Sea. Next up we featured Caroline Bartlett’s Pulse. 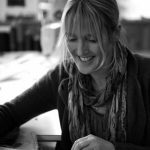 Textiles are the core of Bartlett’s practice, providing her with the means and materials to process and articulate ideas. 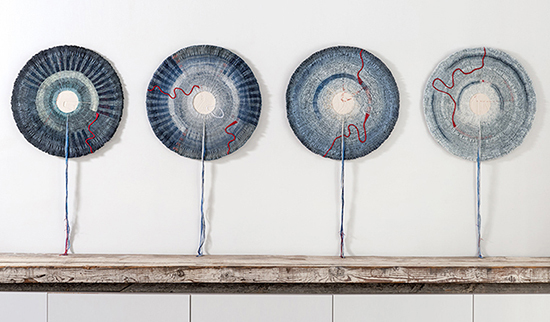 For Bartlett, the “imprinting stitching, erasing, reworking, folding and unfolding” of her creative process leaves defining characteristics on each piece of her work. 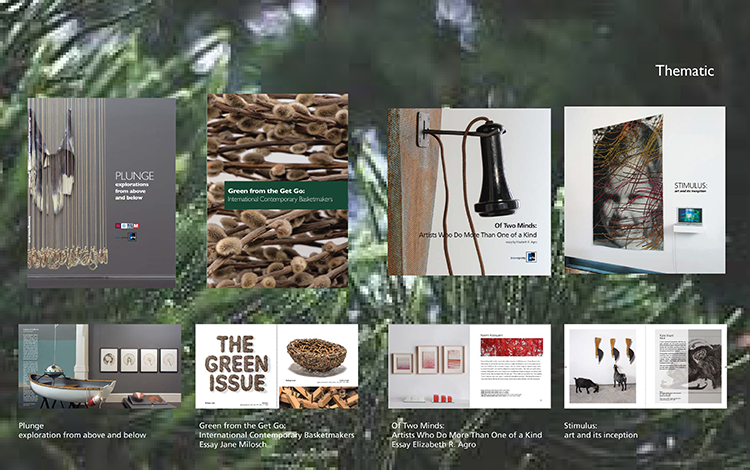 In Pulse, which graces the cover of our newest catalog — Blue/Green: color, code, context— Bartlett integrates textiles (line/hemp and cotton) with porcelain. 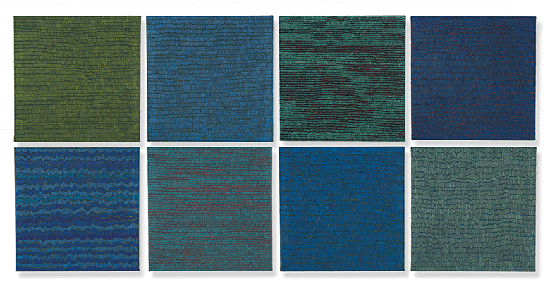 Last but certainly not least is Kyoko Kumai’s Blue/Green as a Metaphor. 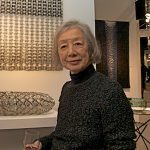 Kumai, who lives and works in Tokyo, has been weaving tapestries with titanium and steel for 30 years. 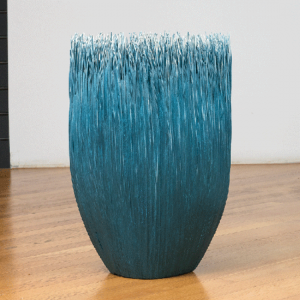 In an essay written in honor of Kumai’s exhibition at MoMa in 1991, Matilda McQuaid explains that “most indicative of the Japanese sense of beauty in Kumai’s work is the importance of light, both its presence and calculated absence.” Made with titanium and steel, Kumai’s Blue/Green as a Metaphor brings life to the room with its’ array of light-reflective, colorful titanium pieces. The newly opened Nordic Museum hopes to share and inspire people of all ages and backgrounds through Nordic art. The museum is the largest in the US to honor the legacy of immigrants from the five Nordic countries: Denmark, Finland, Iceland, Norway and Sweden. Northern Exposure studies “how the Nordic character continues to redefine itself within an evolving global context” by challenging “perceptions of form, gender, identity, nature, technology and the body,” explains the Museum. The exhibition features work by internationally acclaimed artists, including Grethe Wittrock, Olafur Eliasson, Bjarne Melgaard, Jesper Just, Kim Simonsson and Cajsa Von Zeipel. Made of Danish sailcloth, Wittrock’s Nordic Birds immediately attracts the eye upon entering the exhibition. 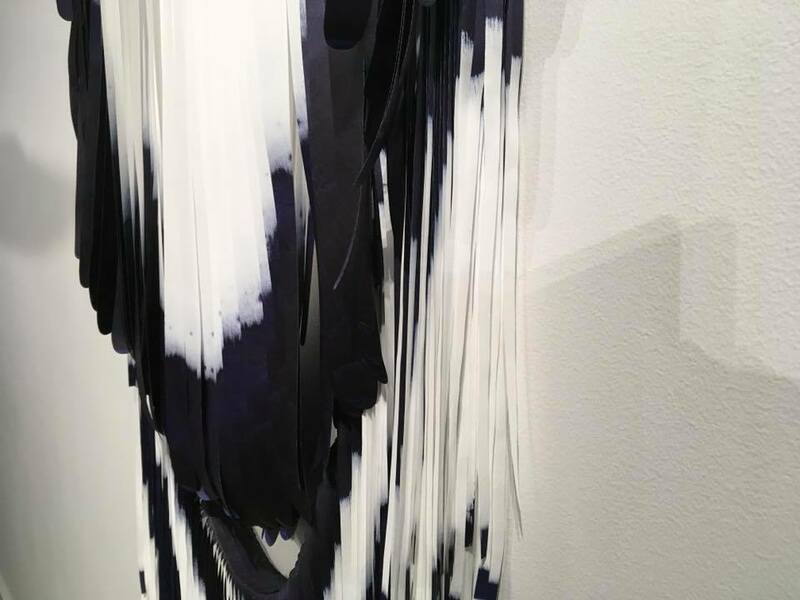 Northern Exposure: Contemporary Nordic Arts Revealed will be on display through September 16, 2018. For more information click HERE. 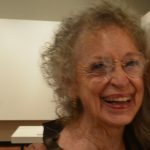 The Racine Art Museum’s new exhibit Honoring Karen Johnson Boyd: Collecting In-Depth at Home and at RAM showcases art advocate and collector Karen Johnson Boyd’s collection of ceramic, clay and fiber art. 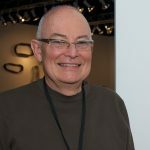 The exhibition, which is broken up into a series of four individually titled exhibitions, with varying opening and closing dates, highlight Boyd’s interests, accomplishments and lifelong commitment to art. 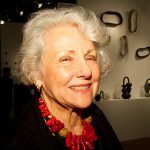 Throughout her life, Boyd was drawn to a diverse array of artistic styles and subjects. Boyd, who collected fiber in an encyclopedic fashion, supported artists of varying ages with varying regional, national and international reputations. Boyd’s Frank Lloyd Wright-designed home provided her with many display options for her fiber collection. 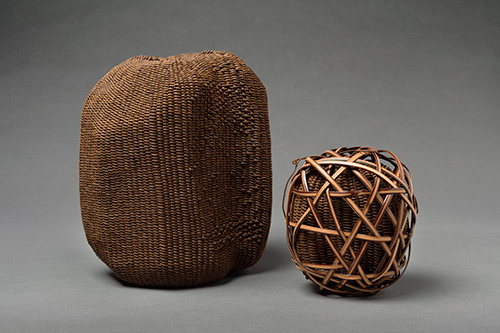 Though baskets encompassed the majority of Boyd’s fiber collection, she regularly altered her environment, adding and subtracting works as she added to her collection. 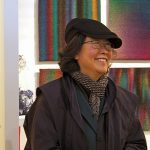 The exhibitions feature work from Dorothy Gill Barnes, Lia Cook, Kiyomi Iwata, Ferne Jacobs, John McQueen, Ed Rossbach, Hideho Tanaka, Mary Merkel-Hess, Norma Minkowitz, Lenore Tawney and Katherine Westphal. 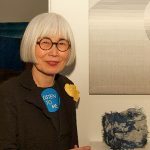 Honoring Karen Johnson Boyd: Collecting In-Depth at Home and at RAM will be on display at the Racine Art Museum through December 30th, with exhibited pieces changing over in mid-September. 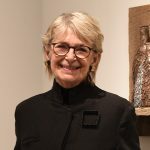 For more information on Honoring Karen Johnson Boyd: Collecting In-Depth at Home and at RAM visit the Racine Art Museum’s website HERE. In New Haven, Connecticut, The Beinecke Rare Book & Manuscript Library recently opened Text and Textile. 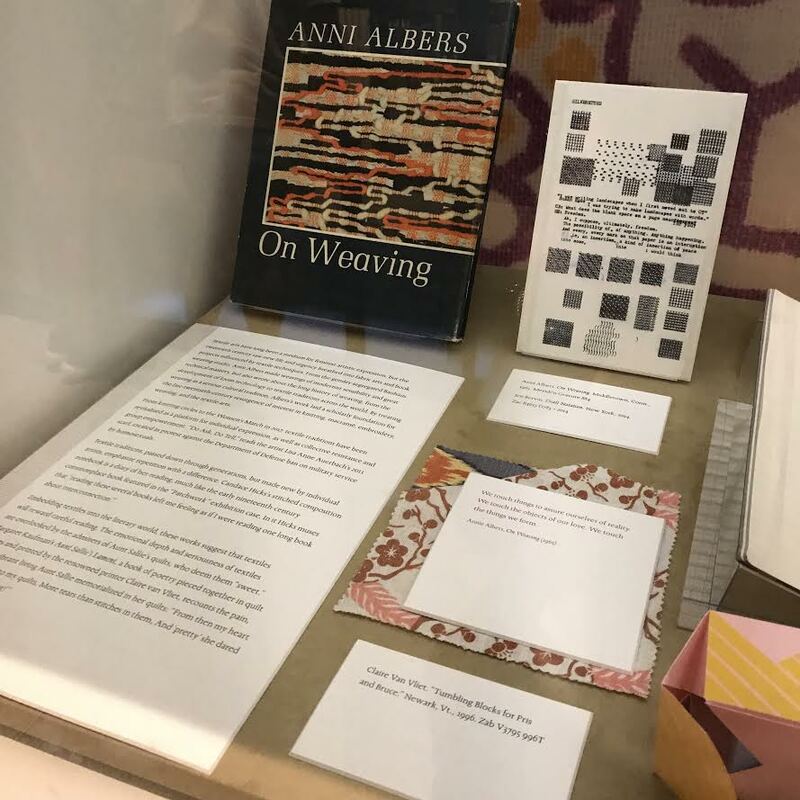 The exhibition, which will be on display through August 12th, explores the relationship and intersection between text and textile in literature and politics.Text and Textile draws on Yale University’s phenomenal collection of literature tied to textiles, from Renaissance embroidered bindings to text from Anni Albers’ On Weaving. Additionally, the exhibition features: Gertrude Stein’s waistcoat; manuscript patterns and loom cards from French Jacquard mills; the first folio edition of William Shakespeare’s plays; the “Souper” paper dress by Andy Warhol; American samplers; Christa Wolf’s “Quilt Memories”; Zelda Fitzgerald’s paper dolls for her daughter; Edith Wharton’s manuscript drafts of “The House of Mirth”; an Incan quipu; poetry by Langston Hughes, Emily Dickinson, Susan Howe and Walt Whitman; and “The Kelmscott Chaucer” by William Morris. For more information on Text and Textile click HERE. 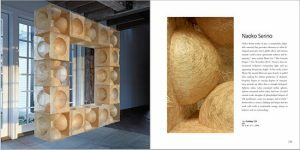 The traveling exhibition Rooted, Revived, Reinvented: Basketry In America is now on display at the Houston Center for Contemporary Craft in Houston, Texas. 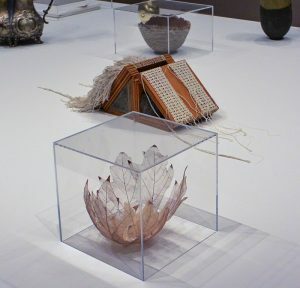 The exhibition, which is set to travel around the United States through the end of 2019, chronicles the history of American basketry from its origins in Native American, immigrant and slave communities to its presence within the contemporary fine art world. 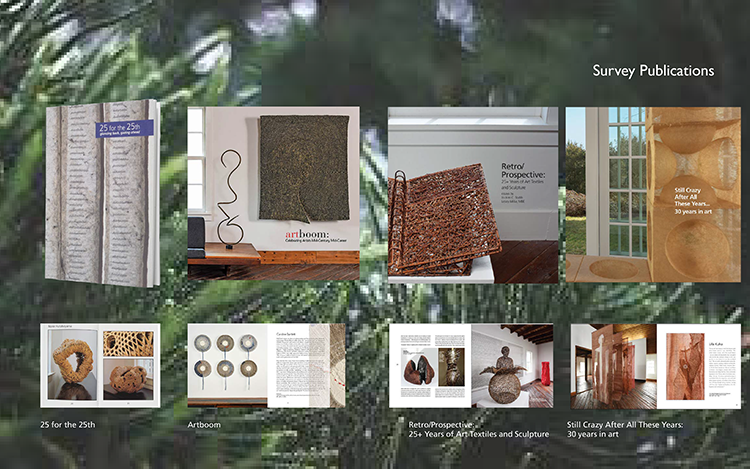 Curated by Josephine Stealy and Kristin Schwain, the exhibition is divided into five sections: Cultural Origins, New Basketry, Living Traditions, Basket as Vessel and Beyond the Basket which aim to show you the evolution of basketry in America. Today, some contemporary artists seek to maintain and revive traditions practiced for centuries. However, other work to combine age-old techniques with nontraditional materials to generate cultural commentary. Rooted, Revived, Reinvented: Basketry In America features work by browngrotta arts’ artists Polly Adams Sutton, Mary Giles, Nancy Moore Bess, Christine Joy, Nancy Koenigsberg, Dorothy Gill Barnes, Ferne Jacobs, Gyöngy Laky, Kari Lønning, John McQueen, Norma Minkowitz, Leon Niehues, Ed Rossbach, Karyl Sisson and Kay Sekimachi. 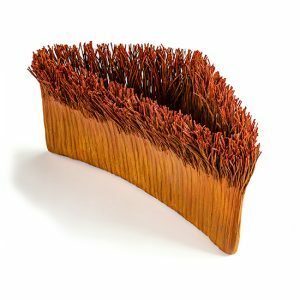 The Aldrich Museum’s new exhibition Handheld explores how contemporary artists’ and designers’ perceive the meaning of touch. Touch is one of the most intimate and sometimes unappreciated senses. 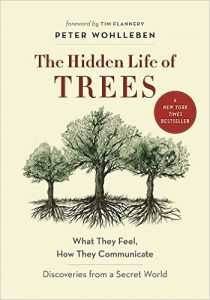 Today, the feeling our hands are most familiar with are our that of our handheld devices and electronics. Touch is no longer solely used to hold objects such as pencils and tools, in fact, touch is increasingly taking the form of a swipe, where the sensation is ignored in favor to the flat visual landscapes of our own selection. “Handheld takes a multifarious approach—the hand as means of creation, a formal frame of reference” explains the Aldrich Museum. It serves the viewer as “a source of both delight and tension as they experience sensual objects in familiar domestic forms, scaled for touch, that can be looked upon but not felt.” The group exhibition, which features work by Kay Sekimachi will be on display until January 13, 2019. For more information on Handheld click HERE. 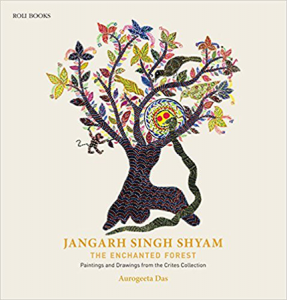 Scott Rothstein recently received Jangarh Singh Shyam: The Enchanted Forest Paintings and Drawings from the Crites Collection, by Aurogeeta Das (ROLI), a “truly remarkable” book from the collector of this work, who Scott knows from Delhi. You can read more about the show here: http://artfoundout.blogspot.com/2017/10/jangarh-singh-shyam-enchanted-forest.html, and read a great interview with the collector here: https://www.youtube.com/watch?v=yh1JhXAebGc. 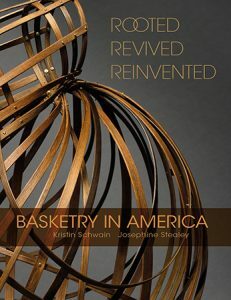 From Tapestry to Fiber Art (Skira) and Rooted Revived Reinvented: Basketry in America by Kristin Schwain and Josephine Stealey (Schiffer) and she can’t wait to read them! 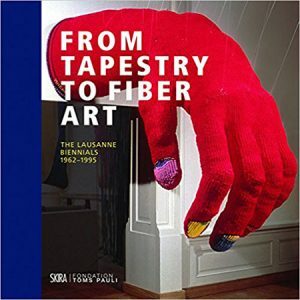 At browngrotta arts we are awaiting our on-order copy of From Tapestry to Fiber Art: The Lausanne Biennals 1962-1995 with text by Giselle Eberhard Cotton, Magali Junet, Odile Contamin, Janis Jefferies, Keiko Kawashima, Marta Kowalewska, Jenelle Porter (Skira). We have on good authority that it is a beautiful book. 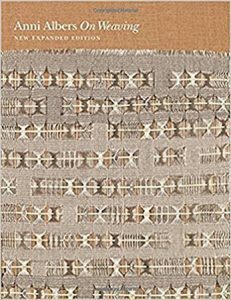 We are also looking forwarded to wandering through the re-issue of Anni Albers’ On Weaving (Princeton University Press) (shhhhh, it’s still under the tree!). Enjoy! The start to summer has been quite busy for browngrotta arts. 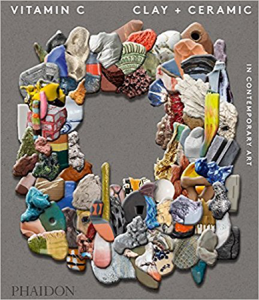 At the beginning of June browngrotta arts’ opened Plunge: explorations from above and below in collaboration with the New Bedford Art Museum in New Bedford, Massachusetts. Soon after came the launch of Cross Currents: Art Inspired by Water, an online companion exhibition to Plunge. 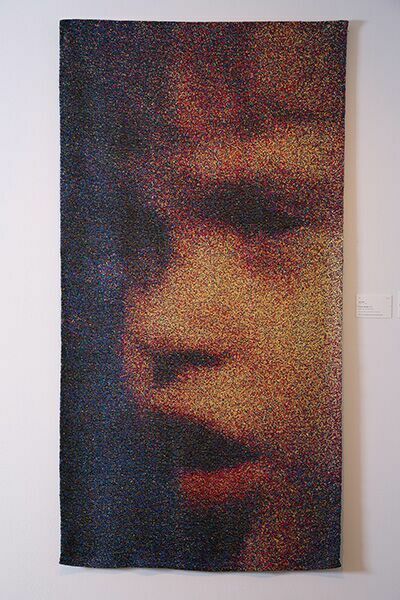 We’ve featured four works on our website as New This Week—three sculptures and a tapestry. Made with vintage zipper tape and thread, Karyl Sisson’s Reaching Out cloaks the floor in a deep red. 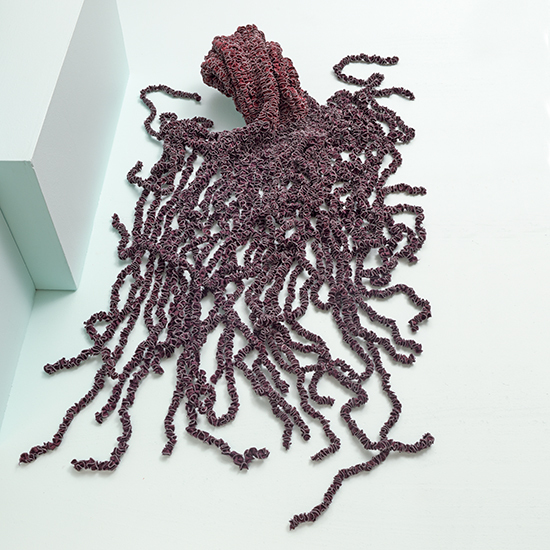 Many of Karyl’s sculptures resemble sea creatures, Reaching Out, which can be viewed in Plunge, resembles an octopus lingering along the seafloor. Rather than starting with a set idea of what she wants to create, Sisson lets the materials and processes dictate the form of her pieces. 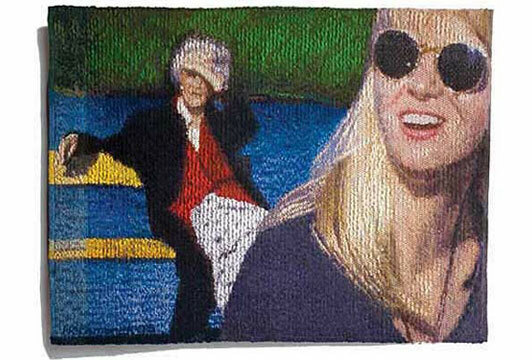 Helena Hernmarcks’ tapestry On the Dock depicts two women enjoying the sunshine. Hernmarck. On the Dock can also be viewed with other water-influenced works in Cross Currents, at browngrotta.com. 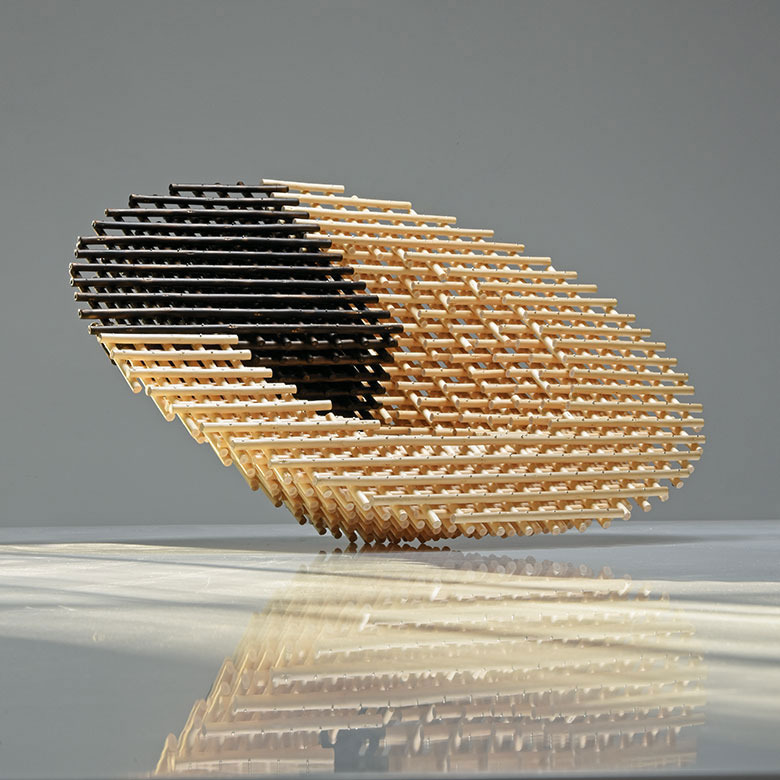 Peninsula, a sculpture made with paper and paper cord, reflects Mary Merkel-Hess’ study of the natural world. 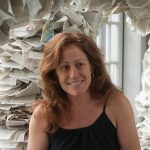 Using a technique of her own creation, Merkel-Hess builds each piece using a combination of collage and paper mâché with inclusions of materials such as reed, paper cord, wood, and drawings. Intrusion, a white willow basket made by Dail Behennah draws in the eye with its grid-like basket architecture. Dail drew inspiration for this piece from igneous intrusions into landscapes. As the softer rocks are worn away the peaks and tors remain hard-edged outcrops on the surface. 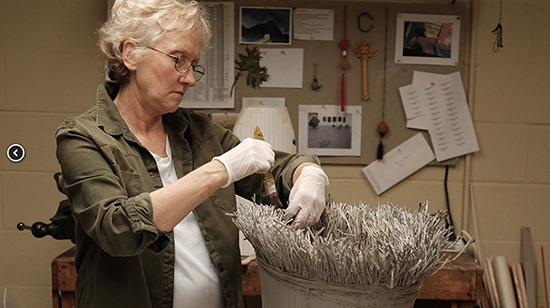 This month, the PBS series, Craft in America, will premiere its episode titled “Nature,” which features profiles on internationally acclaimed artists who use dimensional art to explore nature’s marvels. 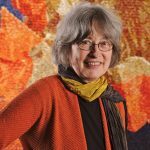 Among these visionaries is fiber artist Mary Merkel-Hess, a participant in browngrotta arts’ upcoming exhibition, Still Crazy After All These Years…30 years in art, slated to run from April 22nd through April 30th at the browngrotta arts’ barn/gallery in Wilton, Connecticut. 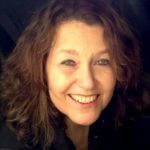 A native of the Midwest, Mary Merkel-Hess’ home state of Iowa represents the creative force behind many of the art pieces she fashions. 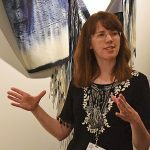 By drawing inspiration from the area’s prairie elements, including its vast fields of grass, corn, shrubs and herbs, she creates dimensional art pieces that translate her experiences and familiarity with the Midwest and its unique aesthetics. 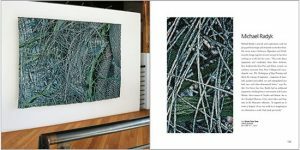 In fact, many of her abstract pieces are inspired by the images she captures and masterfully replicates from the prairie garden surrounding her home and workshop. 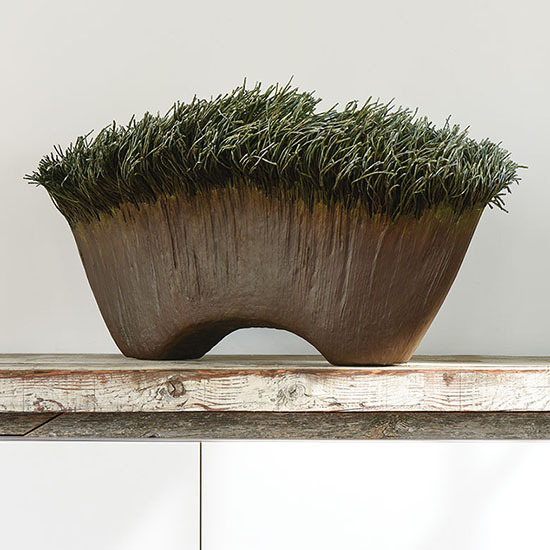 Working with fiber and other materials, such as paper, wood, reed, and acrylic paint, Merkel-Hess creates what she refers to as “Landscape Reports,” fiber vessels that provide a sense of place and containment for the viewer to experience and enjoy. Her process involves building upon layers of paper with careful insertion of reed or cord, creating a mold that is then shaped and painted. Her fiber sculptures illustrate Iowa’s abundance of tall grass, fields and open green space, allowing others to bring a piece of the Midwest, as well as Merkel-Hess’ inspirational prairie garden, to their home. Airing Friday, April 21, 2017, “Nature” will highlight Mary Merkel-Hess’ creative process, as well as that of other artists, sculptors and woodcarvers whose dimensional artwork challenges audiences to reassess their relationship to the natural world. Check you local PBS listings. 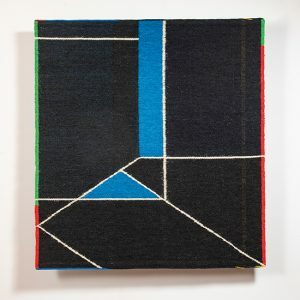 You can view more samples of Merkel-Hess’ fiber artwork at http://www.browngrotta.com/Pages/hess.php. 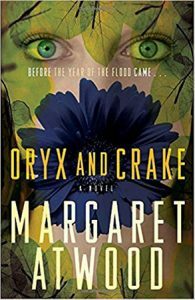 Another year of widely divergent books. 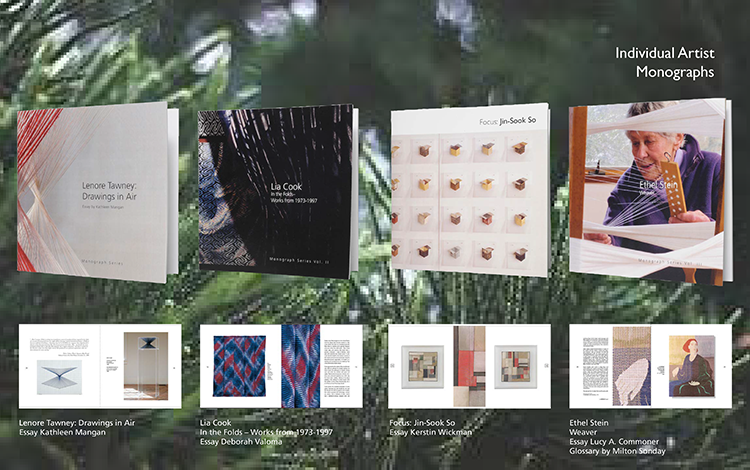 Art, biology, history and biography are all represented in the answers we received to the questions we asked of artists that work with browngrotta arts: What books cheered you? Inspired you? Provided an escape? 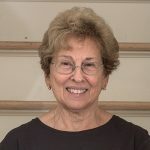 Dona Anderson, wrote that she is reading Herbert Hoover: A Life by Glen Jeansonne (NAL, New York, 2016) who calls Hoover the most resourceful American since Benjamin Franklin. 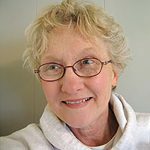 “I recently had a birthday and remember that my mother went to vote on the day I was born, November 6th, and she voted for Herbert Hoover. 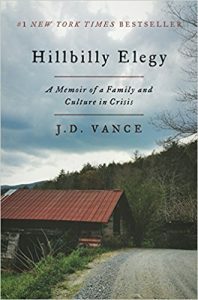 Consequently, I started to think about what the political atmosphere was like then — as ours was so crazy and even more so now. When I went to the library in October, the Hoover book was brand new and it appealed to me.” Rachel Max is reading Materiality, edited by Petra Lange-Berndt (MIT Press, Cambridge, 2015), one of the latest additons to the Whitechapel Documents of Contemporary Art series. It’s a fantastic series. 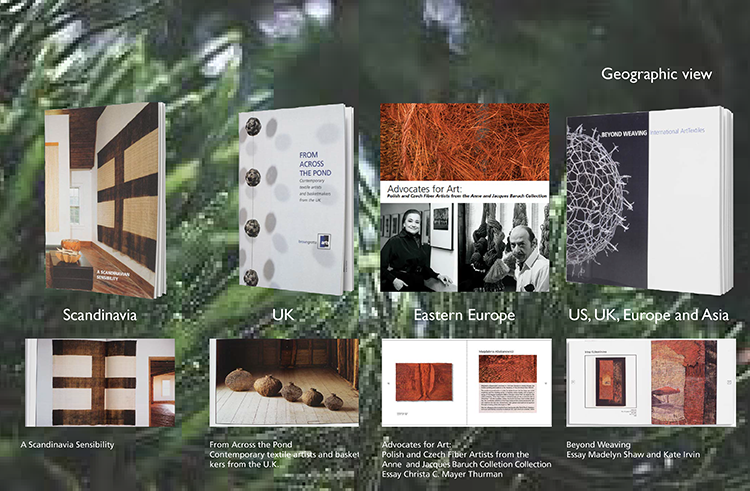 Each volume in the series focuses on a specific theme and contains many thought-provoking essays from theorists and artists. 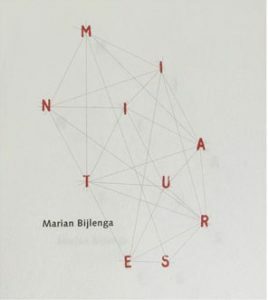 Materiality not only addresses key geographical, social and philosophical issues, but it also examines how artists process and use materials in order to expand notions of time, space and participation. 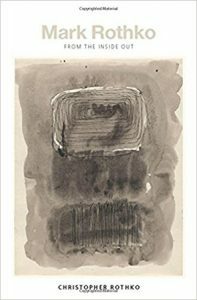 As the publisher notes, “this anthology focuses on the moments when materials become willful actors and agents within artistic processes.” Max has also been dipping into the diaries of Eva Hesse. “They are extremely private and were never meant for publication. 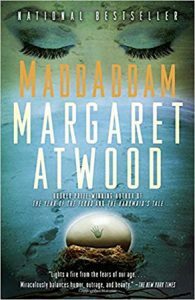 But, as a huge fan of her work it is interesting to read her thoughts,” Max writes. Gyöngy Laky recommended, highly, Daughters of the Samurai, A Journey From East to West and Back by Janice P. Nimura (W.W. Norton, New York, 2016). 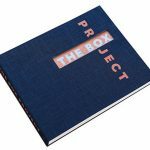 “This book is a fascinating biographical history chronicling the lives of three young Japanese girls sent to America in 1871 by the just barely 22-year-old Empress, Haruko. Their mission was to become educated and to bring back to Japan western ideas to advance the role of women and to help Japan adopt western knowledge and technology. Haruko […”something of a prodigy: reading at the age of three, composing poetry at five, studying calligraphy at seven and plucking the koto (a stringed instrument) at 12] had earlier married the 16-year-old Emperor who ascended the throne in 1868. He had adopted the name, Meiji, or Enlightened Rule—to usher in the beginning of a new era. The new era was a plunge into modernization. Sending three young girls to the West turned out to be more enlightened than expected. Sutematsu Yamakawa, 11; Shige Nagai, 10 and Ume Tsuda, the youngest, a tender, 6, remained in the U.S. for 10 formative years and then changed the future and subsequent history of Japanese women forever. Nimura’s skillful crafting of a can’t-put-it-down narrative of their experiences on two sides of the Pacific is a vividly rich visual, as well as historical, account. 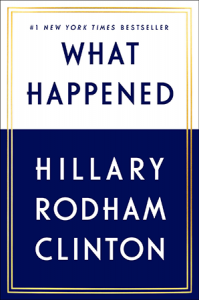 She produced for the reader, through captivating descriptions illuminating the startling differences between these two very different cultures, the contrasting worlds we could easily visualize. Stacy Shiff, Pulitzer Prise-winning author of Cleopatra wrote: “Nimura reconstructs their Alice-in-Wonderland adventure: the girls are so exotic as to qualify as ‘princesses’ on their American arrival. One feels “enormous” on her return to Japan.” It is just this Alice-in-Wonderland aspect of their story that caught my imagination. As in Louis Carroll’s Alice’s Adventures in Wonderland, it is the environment and the material culture that sets the stage for remarkable events. The tangible aspects of two vastly contrasting cultures – intellectually, technically, behaviorally and in terms of the accoutrements of every day life, express well the often conflicting, peculiar and unexpected events in the girls’ lives. The girls move from Japanese clothing, furniture and customs to western style and then back again feeling more comfortable in western settings than in their birth homes kneeling on the floor and lavishly swathed in yards and yards of embroidered silks. In the late 19th century the US was bursting with inventions and change. Planning begun in the 1850s for the Chicago World’s Fair was well under way, ushering in the Gilded Age of rapid industrial growth, design innovation and expansion of popular culture. A startlingly appropriate time for the girls’ cultural experiment to take place. 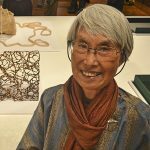 Nimura, who moved to Japan for three years with her Japanese/American nesei husband, was adept at utilizing her keen sense of design and broad knowledge of the two disparate material cultures. 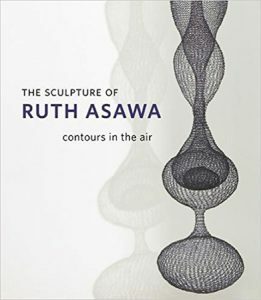 She skillfully brought to life the vast differences between the two civilizations through masterful and insightful descriptions of clothing, hairstyles, furniture, interiors, architecture as well as the cities in which they existed. This, combined with her extensive research, presents the reader with many insights into the relations between the two countries and their intertwined histories through the lives of these exceptional girls and their extraordinary adventures. 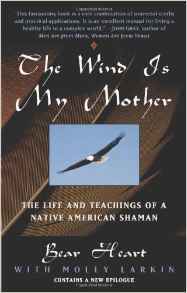 Currently, Jane Balsgaard is reading The Wind is my Mother: The Life and Teachings of a Native American Shaman by Marcellus “Bear Heart” Williams and Molly Larkin (revised edition, Berkeley Publishing Group, New York 2012) and Diary of an Stupid Man, by Uschi Tech, published in Denmark by Forlaget Helle. Her second recommendation is Food Power: the Rise and Fall of the American Postwar Food System by Bryan L. McDonald. Bryan is Merkel-Hess’s son-in-law, a history professor at Penn State and long-time student of security issues. This book details how the unprecedented abundance of food mid-century was used to advance U.S. goals and values around the world. That food can influence global policy is an issue that Merkel-Hess never considered until now, but one she found fascinating. 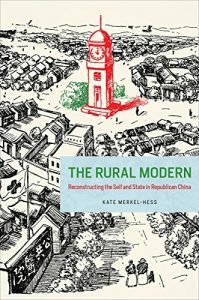 The third book, is one for the Sinophiles and academically inclined among us, is The Rural Modern: Constructing the Self and State in Republican China by Kate Merkel-Hess. Merkel-Hess has another academic connection: Kate is her daughter and also a history professor at Penn State. This book about rural reform in China before the Communist revolution documents a desire for modernity rooted in Chinese rural traditions and institutions. Merkel-Hess found it interesting that American foundation money and the YMCA were involved in these early modernizing efforts. 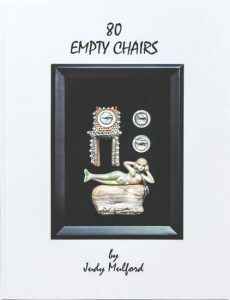 We also have two limited-edition, artist-designed books to highlight: Judy Mulford: 80 Chairs by Judy Mulford and Marian Bijlenga: Miniatures, An autobiographical archive reflecting 30 years of work by Marian Bijlenga. In each case, the artist has created a reflective work — celebrating a full and accomplished career. The books are available at http://www.browngrotta.com/Pages/books.php.